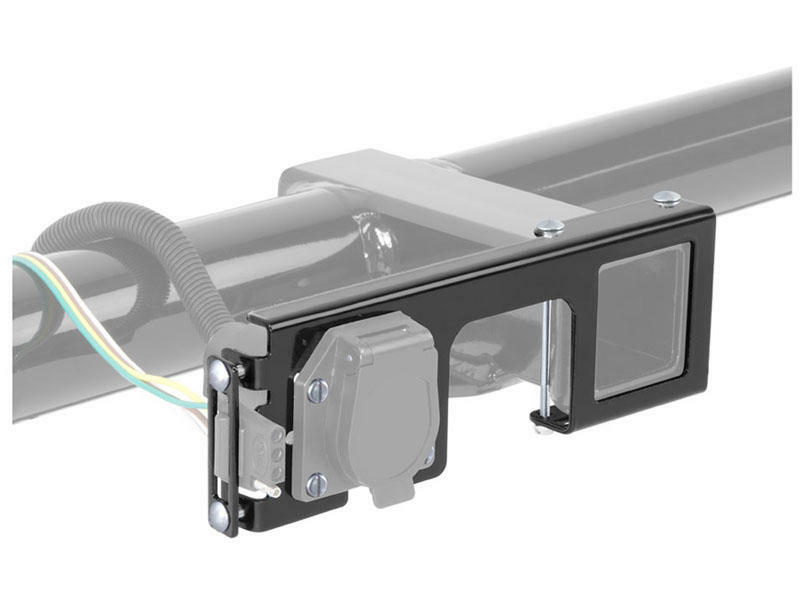 The simple solution for mounting trailer tow wiring to a receiver hitch. Mounts to receiver tube with 2 bolts provided. No drilling or clamps required. Durable black powder coat finish. 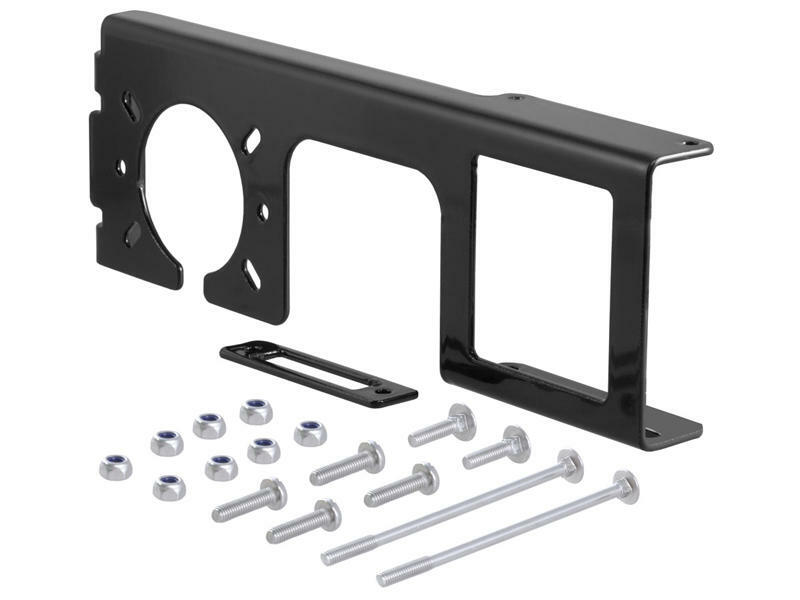 Mounts 4 or 5-way flat molded plug AND 6 or 7-way socket to 2 inch receiver tube.